If you’re in the market for a new or used commercial range oven, come into One Fat Frog Restaurant Equipment and check out the large selection. While every commercial range oven varies, there are some standard construction features that run across the board – in how the commercial range oven is constructed and put together. Here’s some handy information concerning the construction of commercial range ovens. Most manufacturers construct ranges of steel, often 16 gauge. Some manufacturers are trying to design stainless steel out of their products to lower product cost and as a result may not offer standard stainless steel side panels or bottoms. Some models also feature enameled surfaces for enhanced appearance. Range grates offer welded-steel or cast-iron construction. Manufacturers construct heavy-dtuy models in sections, which leads many professionals to refer to them as sectional or modular ranges. 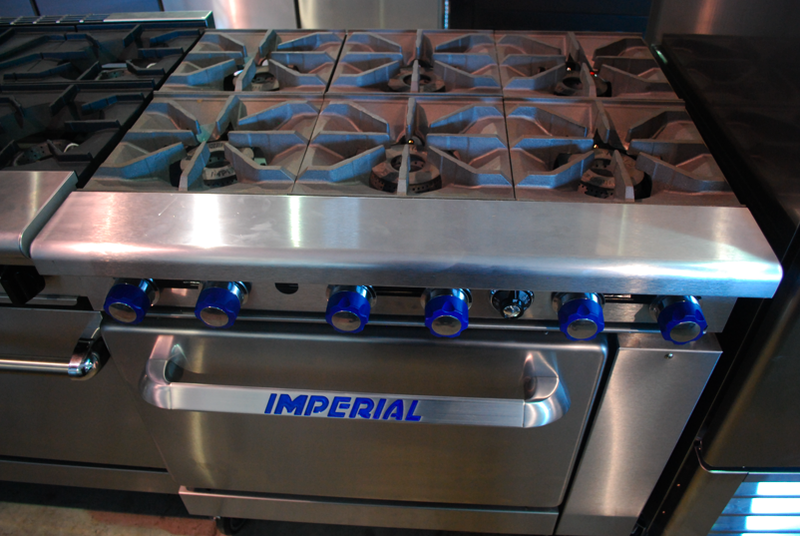 Residential come with up to six burners, while commercial range ovens can have 10 to 12! One Fat Frog Restaurant Equipment has a large selection of used and new commercial range ovens from a variety of brands including Garland, Southbend, Imperial, and American Range. One Fat Frog Restaurant Equipment welcomes quick cash deals and package deals on the entire stock of used commercial restaurant equipment – including commercial range ovens. One Fat Frog Restaurant Equipment can also get you financed for all of the commercial restaurant equipment you need – no matter what shape your credit is in!